Studies in Economics and Business Administration (2009-2011, B. Sc.) and Management (2011-2015, M. Sc.) 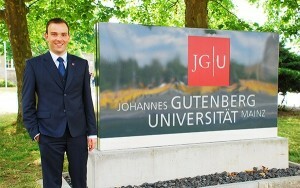 at Johannes Gutenberg-University Mainz. Study-oriented internship at an audit firm (2011) and self-employment as managing partner of an IT-consultancy. During the studies, activities as a tutor in Statistics II at the Chair of Statistics and Econometrics (2011-2012) and in Empirical Economic Research at the Chair of Financial Economics (2013). In addition, student research assistant at the Chair of Corporate Governance. 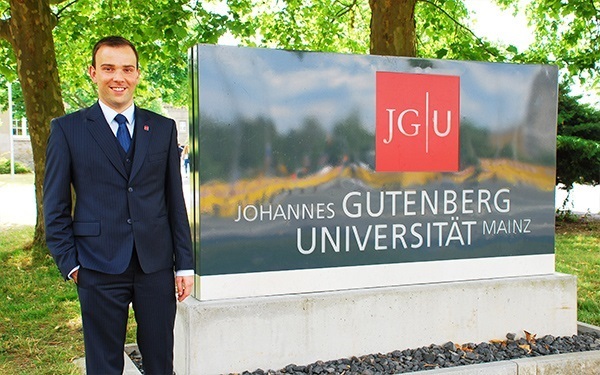 Since April 2015 research associate and doctoral student at the Chair of Corporate Governance. Ph.D. Workshop and Conference, 8th European Accounting Research Network (EARNet) Symposium 2015, Lausanne, Switzerland, September 10th – 12th, 2015. Summer School and Workshop, 5th Doctoral Summer Program in Accounting Research (SPAR) 2015, Munich, Germany, July 13th – 16th, 2015. Ph.D. Doctoral Course, Empirical Research in Financial Accounting 2015, Frankfurt, Germany, April 13th – August 14th, 2015.